Hi guys. I cannot figure out what is wrong. My map is not centered int he map preview on the Maps Tab of Create Game. 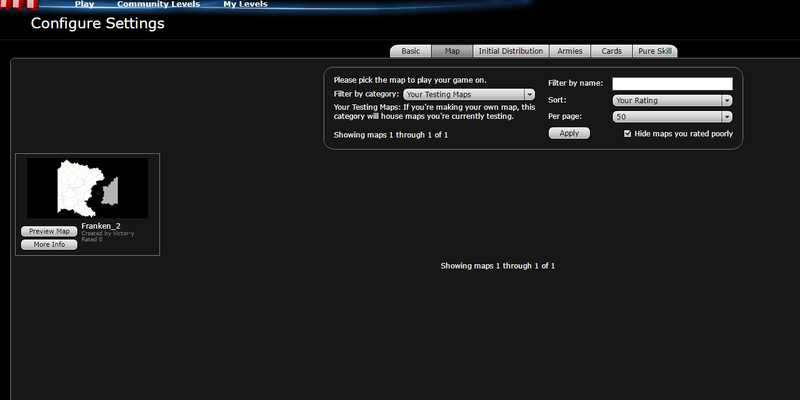 Also, when I create the game the map itself is not centered and has a ton of blank space. I tried changing the page size in Inkscape but I haven't been able to figure it out. I'm having the same issue right now as well Victor, apparently it has something to do with "Scaling" in the document properties section. I'll get back to you when I know more. Thank you TheOnlyPie. I await your news. Thank you Apollong3. I am gonna read the thread. Also, I'd like to ask if you have any Distributions/Scenarios planned for your new huge Greek map. I fixed the issue using apollong's thing, but now my territories are all too small, like the numbers dont fit inside them. Hmm my map was fixed by messing with the numbers but the preview is still off. http://i.imgur.com/5fQSl0G.png Here is what it looks like.